Downloadable MP3 of Tork's Cafe - never before released! 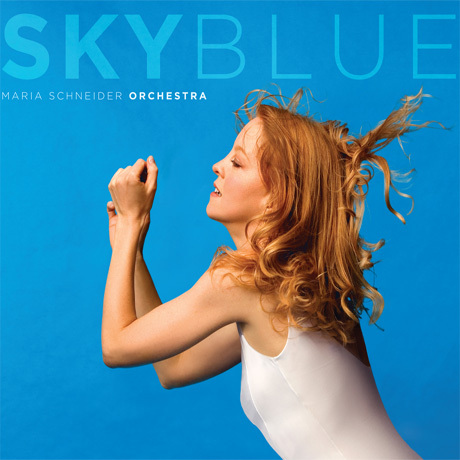 Sky Blue was released in 2007 and subsequently won a Grammy award for the composition "Cerulean Skies." The following description was written prior to its launch. All documentation described below continues to be made available to everyone who purchases Sky Blue in any form. All you need to do is login after your purchase. We had a lot of fun documenting the making of this recording and hope you, too, will enjoy a glimpse behind the scenes as well. Updated July 11, 2007 For the first time we've created a very special LTD Edition CD package with a four-fold-spread that includes two booklets exclusive to this package, one with 40 pages of photos with captions from the recording and mixing sessions, and the other with extensive liner notes written by Maria describing her music and what's behind it. A special addition to this booklet are the first sketches of the music from this CD. This package introduces you to the many wonderful people who made this recording and reveals the process start to finish. Additionally, all the content you'll receive every time you login to your account is a great way to experience our making of a new album through additional audio and video. These CDs will start shipping on July 24th, 2007. Starting now and leading up to that date, I'll share the creative process of composing my final work (inspired by birds and migration), take you inside rehearsals, give you early glimpses of the music, sharing all that we experience. It all arrives via written journals, streamed audio and video, and photo galleries. I want to wrap you in the excitement, intensity, and even fear and frustration that also enter into the process.